Last post I talked about was about some real, honest-to-goodness, less than perfect bodies doing yoga. Now let’s talk about this controversial video posted by Equinox, a luxury gym popular in Los Angeles and New York. Briohny Smyth is the scantily clad yoga instructor featured in the video that has put a bee in the bonnet of the yoga community. It has to be said- the yoga in this video is remarkable. Her body is flawless and her alignment is outstanding. 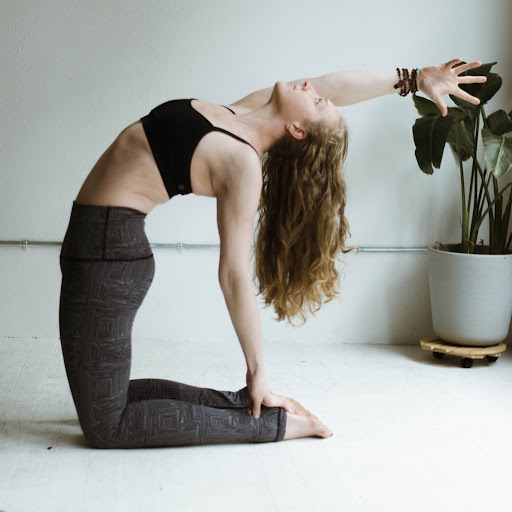 Some of the things she does seem to defy gravity, and personally it inspires me to work harder to experience these amazing benefits that yoga allows. I am not prudey, I think her body is a work of art and it was probably a serious, conscious decision to dress her like she is. I don’t know why anybody would be offended by that aspect of the video- if you’ve got HBO you’ve seen worse. Yoga being accessible to everyone is important. I don’t want anyone to feel intimidated by these beautiful freaks of nature like Briohny Smyth. Yoga is not just for fit, flexible, skinny people. However we must consider who Equinoxs’ audience is. Equinox is known for its cutting edge workout strategies, (IntenSati, Urban Rebounding) and a plethora of ‘celebrity’ trainers and yogis such as Smyth. They attract the wealthy, athletic individual who wishes to perfect his or her body in an ilitest environment. That, to me, is far from the intention of yoga. So it seems, it all depends on your perspective. I see it as inspiring and artful, while people considering beginning a yoga practice may find it intimidating. I hope all viewers can keep an open mind and maintain sense of self while watching this. Cheesy as it is- I like to respect that my yoga practice is a journey, not a destination. It makes accomplishing goals more gratifying and helps me appreciate all of the small successes along the way. Someday I’ll have a perfect handstand, until then, I’ll work with what I’ve got.